It is with great sadness we say goodbye to life member of Calder Clarion, Jim Blankley. A member since 1950s, Jim was a top cyclo cross rider through the 60s 70s & 80s, he did a great service for the club. 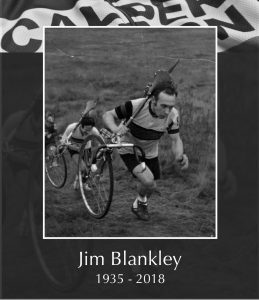 Our club president and friend of Jim will be sharing his cycling memories of him in our spring club magazine. Our full condolences go to his family.